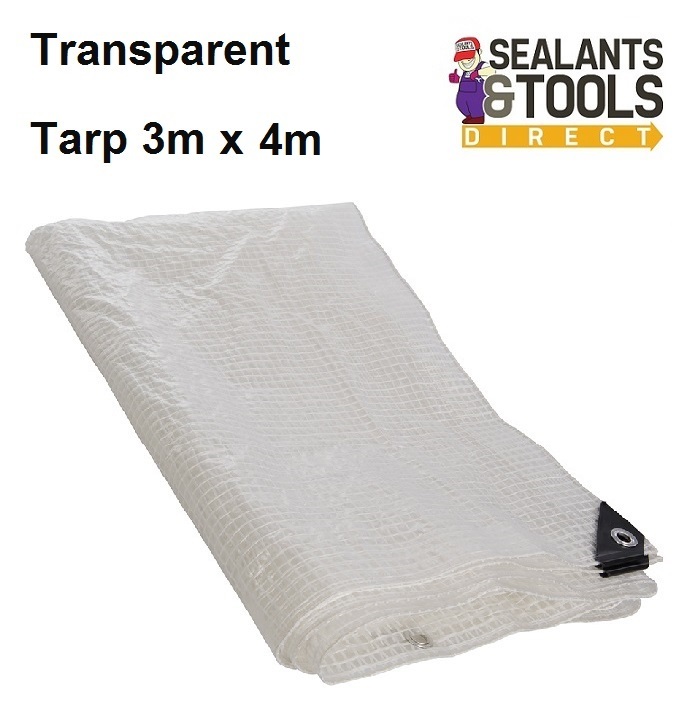 Transparent with rope reinforced heat-sealed hem and reinforced plastic corner covers. Multiple uses including covering and protecting loads on trailers. Also ideal for use on construction sites, roofing, fencing, greenhouses and market stalls. UV treated for long life.